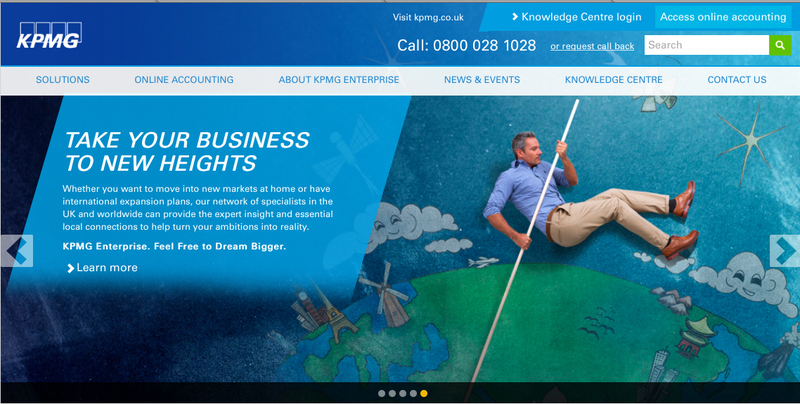 KPMG's turned to Street Advertising Services for some unique chalk art for their company website. KPMG's award winning design agency STEINIAS approached us last month with an unusual request. They asked us to create ten life sized illustrations to be used with models for a corporate photoshoot. Street Advertising Services are well known within the marketing and advertising world for creating spectacular 3d street art and wall murals so it was a lot of fun to work on 2d artwork for a change. We worked to some really tight timescales producing twelve pictures in just over two weeks and the whole process was made slightly less stressful by the great Creative Director at Steinias. 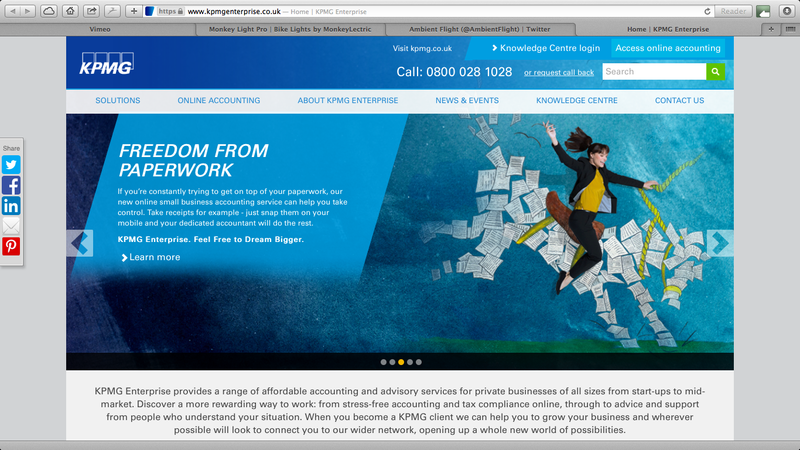 The final results looked incredible and we were delighted to see our artwork used all across KPMG's latest website design.